Families were provided financial assistance totalling $96,038. Legal Advocates served 520 victims, resulting in 129 protective orders. The Domestic Violence Prevention Program reached 2,695 students, teaching them about the dynamics of domestic violence, healthy relationships and hands are not for hitting. 340 active volunteers contributed 1,485 hours to the NOA program. The board of directors contributed 500 hours of volunteer work as well. The Southern Finds Thrift Store provided direct client assistance to 190 “at-risk” families. Shelter for women and children, victims of domestic violence: 150 women and children were sheltered for a total of 1159 guest nights, an average stay of 30 days per guest. 34 victims were housed in hotels due to lack of space. 24-hour Crisis Line: The crisis line provides crisis intervention safety planning as well as information on shelter services. Advocates responded to 3,657calls in 2015. Trauma Counseling Program: 180 victims received traumacounseling sessions provided by two licensed professional counselors to help victims overcome PTSD (Post-traumatic Stress), depression, anxiety and regain a sense of control over their lives. A support group meets every week addressing: the effects of domestic violence, self-esteem, boundaries, assertiveness, anger-management, and communication skills. A total of 113 women attended support group. Legal Advocacy Program: The program includes the following services: support and information about victims’ rights and their legal options, assistance in filing Temporary Protective Orders, court accompaniment, education about the judicial process, legal representation, and referrals. Legal advocates served 512 victims, resulting in 116Temporary Protective Orders. Rapid Re-Housing Program: In 2015, NOA enrolled 7 clients into the rapid re-housing program, which assisted victims with security deposits, last months rent, utility deposits and payments, moving costs and short term rental assistance. Children’s Program: Through the structured weekly Children’s Program, children are provided an opportunity to share their fears and concerns. Children are made aware that violence is not the appropriate way to solve problems. 148 different children attended a total of 649 sessions in 2015. Violence Prevention School Program: This program provides preventative education to elementary, middle and high school students on the dynamics and dangers of abusive relationships. The curriculum “Hands are not for hitting”, “Bullying”, “Domestic Violence” and “Dating Violence” was presented to a total of 2,157 students. Community Outreach Program: This program provided community education on dynamics of domestic violence and services available at NOA to: criminal justice and social service agencies, schools, colleges, civic organizations, churches, and other groups. In 2015 NOA staff spoke to 20 different organizations, churches and groups. Volunteers: In 2015, active volunteers contributed 4,000 hours to the shelter program, children’s program, and Bargain Shop. The members of the Board of Directors contributed 1,700 hours of volunteer work. NOA’s Bargain Shop: The thrift store has provided direct client assistance to 200“at risk” families. Assistance consisted of furniture, clothing, and household items. As part of our textile recycling program, the store kept 204,000 pounds of unwanted items out of local landfills. 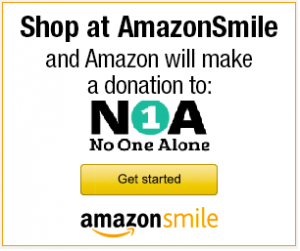 In 2014, NOA provided services to 992 different people. Shelter for women and children, victims of domestic violence: 100 different people (53 women and 29 children) were sheltered for a total of 3,353 guest nights, an average stay of 30 days per guest. 36 victims were housed in hotels due to lack of space. 24-hour Crisis Line: The crisis line provides crisis intervention and referral services as well as information on shelter services. 3,114calls were received in 2014. Referral Services: Resource information is provided on medical, legal, housing, educational and other social services. 6,075 referrals were made to link victims to community resources. Trauma Counseling Program: 100 victims received traumacounseling sessions provided by two licensed professional counselors to help victims overcome PTSD (Post-traumatic Stress), depression, anxiety and regain a sense of control over their lives. A support group meets every week addressing: the effects of domestic violence, self-esteem, boundaries, assertiveness, anger-management, and communication skills. A total of 140 women and children attended support group. Legal Advocacy Program: The program includes the following services: support and information about victims’ rights and their legal options, assistance in filing Temporary Protective Orders, court accompaniment, education about the judicial process, legal representation, and referrals. Legal advocates served 428 victims, resulting in 88 Temporary Protective Orders. victims were assisted in obtaining a divorce. Children’s Program: Through the structured weekly Children’s Program, children are provided an opportunity to share their fears and concerns. Children are made aware that violence is not the appropriate way to solve problems. Over 120 different children attended a total of 462 sessions in 2014. School Prevention Program: This program provides preventative education to elementary, middle and high school students on the dynamics and dangers of abusive relationships. The curriculum “Hands are not for hitting”, “Bullying”, “Domestic Violence” and “Dating Violence” was presented to a total of 2,996 students. Community Outreach Program: This program provided community education on dynamics of domestic violence and services available at NOA to: criminal justice and social service agencies, schools, colleges, civic organizations, churches, and other groups. In 2014 NOA staff spoke to 66 groups. 2,972 individuals attended these sessions. Volunteers: 75 active volunteers contributed 2,979 hours to the shelter program, children’s program, and Bargain Shop. The members of the Board of Directors contributed 1,554 hours of volunteer work. NOA’s Bargain Shop: The thrift store has provided direct client assistance to 250“at risk” families. Assistance consisted of furniture, clothing, and household items.